The 2016 Social Progress Index report was released on June 28. The index provides a comprehensive measure of a country’s social and environmental performance, based on more than 50 indicators. The 2016 index covers 133 countries with complete data and 27 more with partial data, representing 99 percent of humanity. 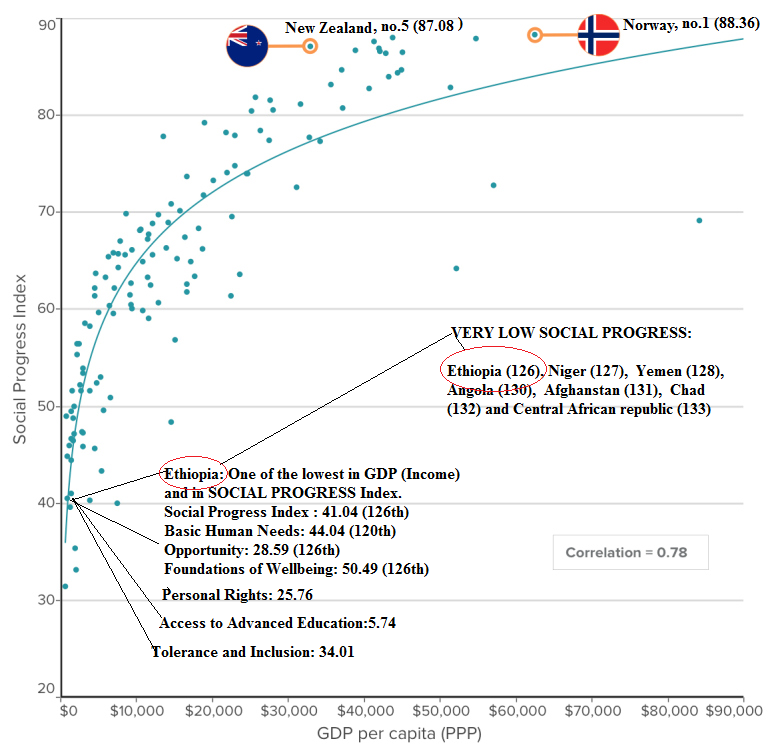 The Social Progress Index score is an average across the three broad dimensions: Basic Human Needs, Foundations of Wellbeing, andOpportunity. Finland tops the index with a score of 90.09 out of 100. Ethiopia (43.5) is among the worst scorers. world average score is 62.88 (out of a possible 100). 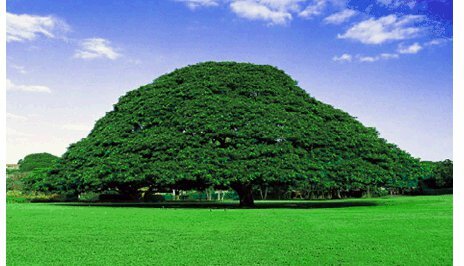 Ethiopia ranked 126 out of 142 countries on a new prosperity index, and 137th in a sub-category that measures Entrepreneurship & opportunity. 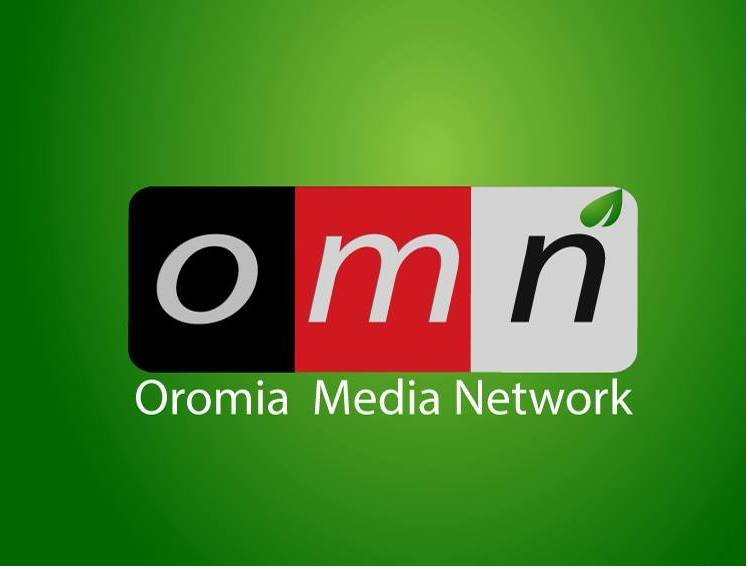 The index ranked Ethiopia 132nd in education. The index was released by the London based The Legatum Institute on 2nd November 2015. According to the institute, the index assesses how prosperous an economy is based on more than just macroeconomic factors – it also takes into account wellbeing. Using rigorous research and in-depth analysis, the Index ranks countries based on their performance in eight sub‐indices—Economy, Entrepreneurship & Opportunity, Governance, Education, Personal Freedom, Health, Safety & Security and Social Capital. The Index assesses 142 countries, representing more than 96% of the world’s population and 99% of the world’s GDP. The latest ranking has named Norway as the world’s most prosperous economy. Norway topped the list for the seventh consecutive year. Along with Norway, three other Scandinavian countries (Denmark, Sweden, and Finland) made the top 10, and Iceland (another Scandinavian country) coming in at number 12, behind the United States, in the top 20. 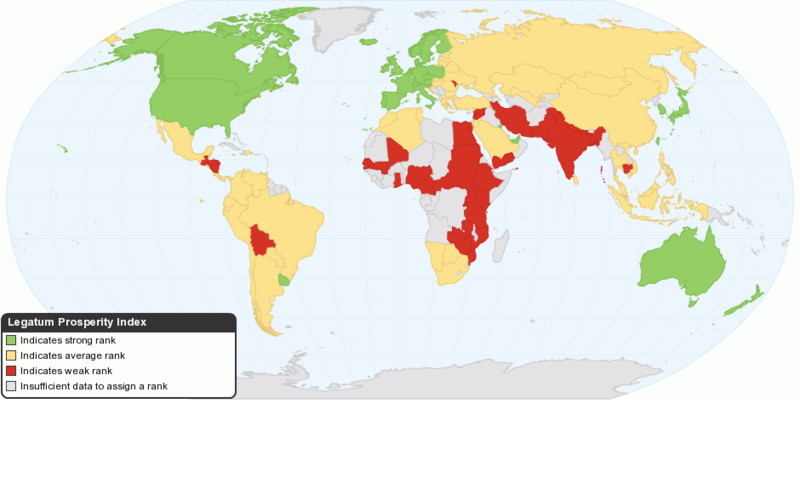 Ethiopia ranks 126, coming in at 17 of the bottom 20 least most prosperous countries. 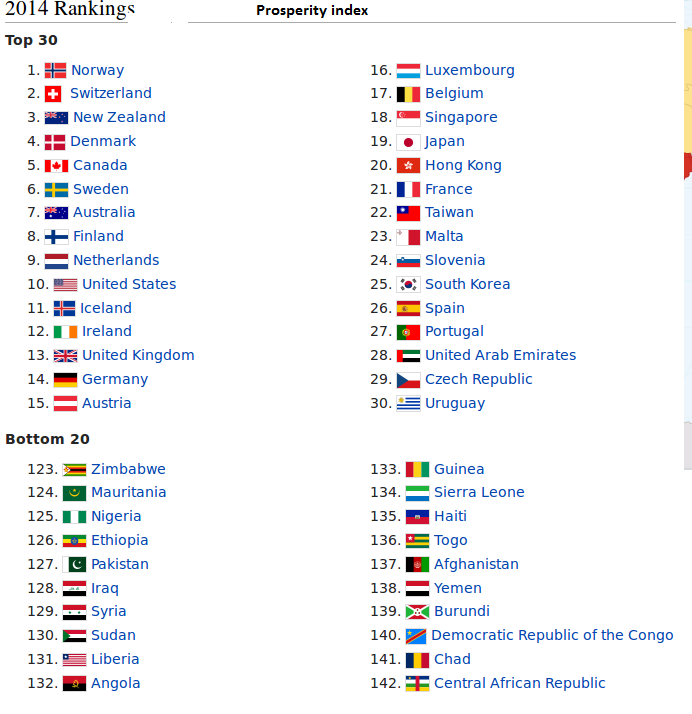 Ethiopia is ranked between Nigeria (125th) and Republic of Congo (127). The bottom 20 nations are mostly sub Saharan African countries, with the exception of countries like Afghanistan (141), Syria (136), Yemen (135), Pakistan (130), and Iraq (123). 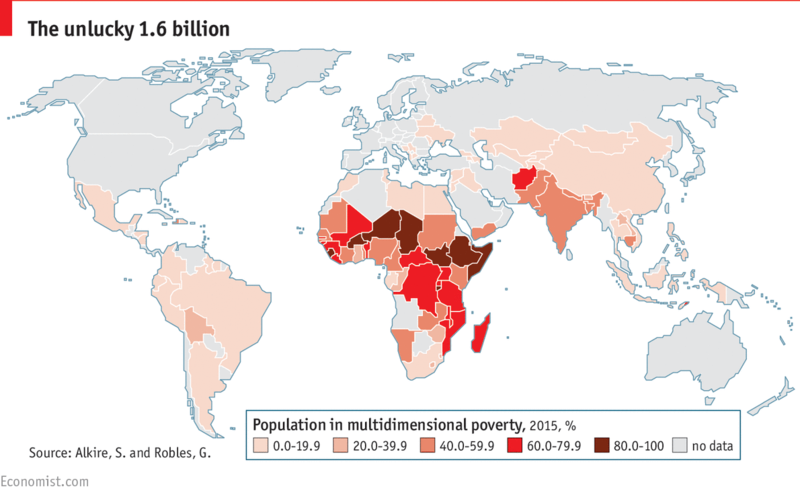 The least prosperous nation of all the 142 nations sampled for the second year in a row is the Central African Republic. What that makes a country creative? A new research shows that it’s talent, technology, and tolerance: (3T’s). 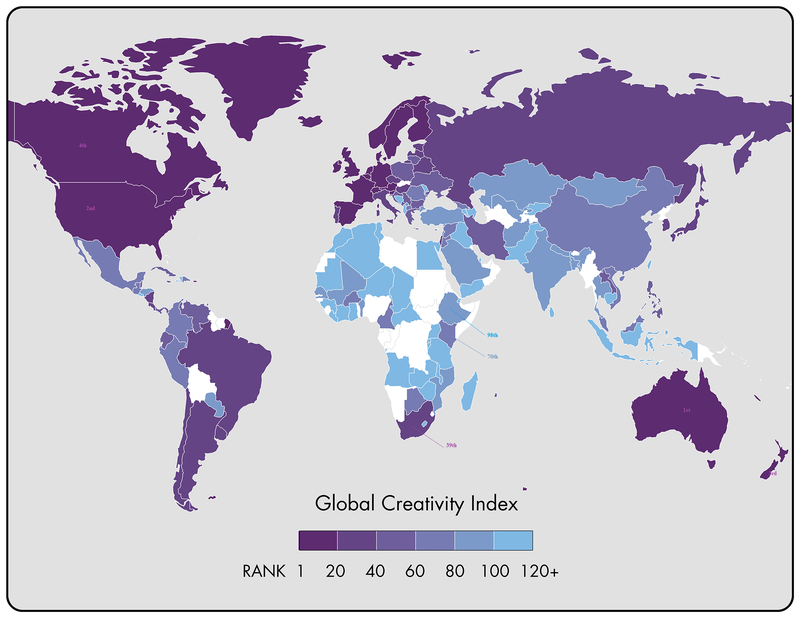 The Martin Prosperity Institute (MPI), housed at the University of Toronto, published the 2015 edition of its ‘Global Creativity Index’ (GCI). The GCI is a broad-based measure for advanced economic growth and sustainable prosperity based on the three T’s of economic development: - talent, technology, and tolerance. It aimed at rating and ranking 196 countries worldwide on each of these dimensions and on an overall measure of creativity and prosperity. Technology rankings were based on investment levels in research and development, plus how many patent applications per capita each country had. Talent was evaluated by using a composite of the percentage of adults who owned an advanced degree, as well as the percentage of the workforce that had jobs in the creative industry. Rankings for the third factor, tolerance, were found based on how each country treated their immigrants, the diversity of the racial and ethnic minorities, and how many LGBT residents were in each country. To obtain their rankings, the researchers analyzed 139 countries, with many countries of low economic status being left off the list as complete data couldn’t be sourced, and ranked them in each category. 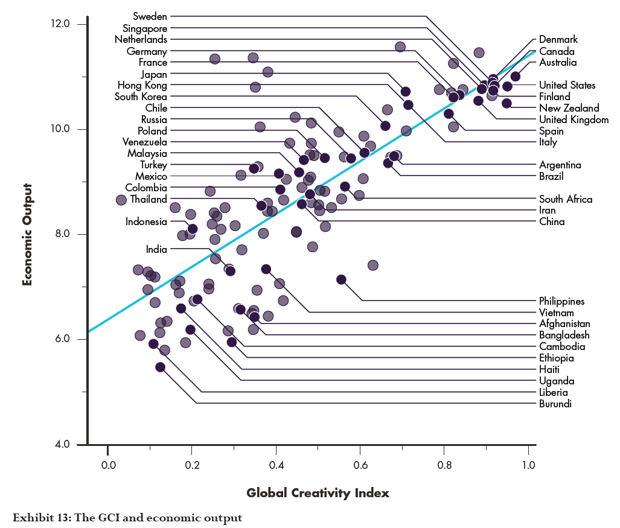 Overall creativity was determined by each country’s ranking across the T’s, then divided by the total observations made in each category patent applications per capita, creative-class measure, etc. Australia was found to be the most creative on the GCI, supplanting Sweden, which took top spot in the previous 2004 and 2011 editions, with a global ranking of 1 in talent, 4 in tolerance, and 7 in technology. As Australia has taken the number one spot on the index with a score of 0.97 out of one, the US has been second and New Zealand third. Luxembourg has the largest share of the creative class (54%), which spans science and technology; arts and culture; and business, management, and the professions. South Korea leads in technology. Japan is second, Israel third, the United States fourth, and Finland is fifth. Australia, New Zealand, Germany, Singapore and Denmark round out the top ten. Australia leads in talent. Iceland is second. The United States and Finland are tied for third with Singapore in fifth. Denmark, Slovenia, Belarus, New Zealand, and Sweden round out the top ten. Canada takes the top spot in tolerance which is measured as openness to ethnic and other minorities . Iceland is second, New Zealand third, Australia fourth, and the United Kingdom fifth. The Netherlands, Uruguay, Ireland, Norway, and Sweden round out the top ten. Among African countries, only South Africa (39) making among the top 50. Mauritius is in 59th and Kenya is ranked 70th. 27 of 50 lowest scoring countries are from Africa.